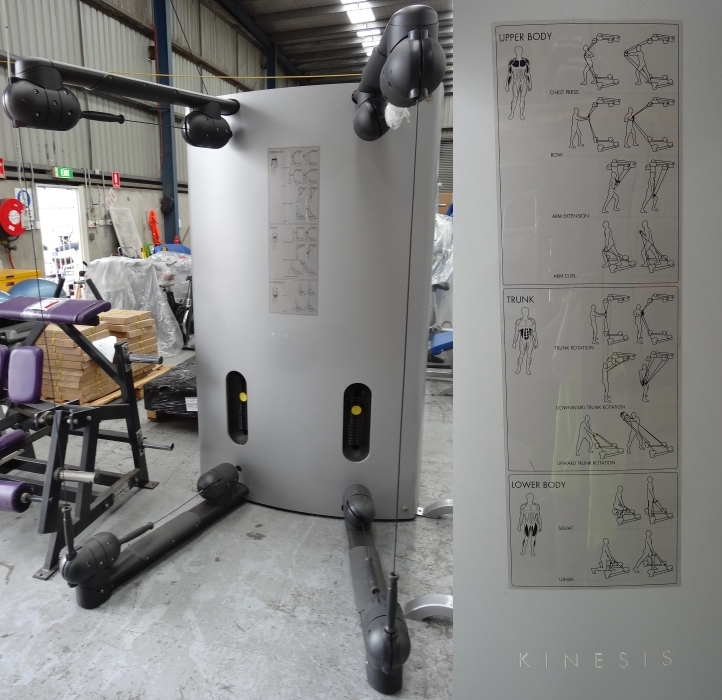 The Kinesis® One has the ability to stand alone anywhere within a health and fitness related facility. The single, affordable piece of equipment will attract quite a bit of very serious interest across the broadest possible range of customers. The two weight stacks are conveniently hidden from view, and the Kinesis® One will leave your members free to explore a virtually infinite range of natural movements and exercises. Offering zero-impact exercises for wellness-seekers of all levels of fitness and ability, The Kinesis® One is the perfect option, whether users are working on their balance, strength or flexibility. Your members can explore the benefits of Kinesis® One on an individual basis, or you can create a whole new range of programs with the involvement of your trainers. The certification of the Kinesis® One for medical and rehabilitation use is a brilliant endorsement for facilities that are looking to address the needs of users recovering from injuries, and those who have limited mobility. This single, stand-alone unit offers a broad range of doctor-approved exercises and routines. Kinesis®™ “FullGravity™ Technology” is a patent pending innovation that allows users to move tri-dimensionally while providing resistance to every possible movement of the human body. Kinesis®™ incorporates a patent pending 360° rotating pulley system which enables movement on three planes. This system allows the user to move freely without cable interference. Kinesis®™ activates the kinetic chains, not just individual muscles. FullGravity™ patent pending technology allows for variable resistance in accordance with the increase in range and angle of the movement. The double weight stack means each cable controls a single, independent resistance level. This allows a greater freedom of choice when defining exercises and movements. A patented continuous cable loop system connects with each cable handle. The design allows you to move freely with minimal interference with the body, especially in ‘push’ movements. The handle is always ready for use and does not require any prior setting or adjustment. This allows users to start their workout and enjoy the Kinesis®™ experience immediately. Buy Technogym Kinesis One online. If you are interested in the Technogym Kinesis One for sale, feel free to enquire above.